With Berlin becoming more international day by day and an increased influx of capital I currently do not see any reason to leave Berlin to start a startup…expect maybe the sunshine rate 🙂 Startupbootcamp has an interesting startup cost comparison of the startup capitals Berlin, San Francisco and London. How cool is that!? 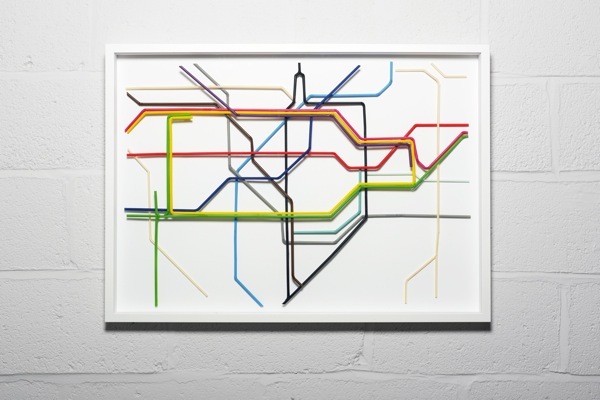 Brighton-based artist Kyle Bean built the London tube map solely with drinking straws, more specifically Zone One of London’s underground system. Recreating a company’s logo using drinking straws would also be pretty cool. What do you think? More pictures after the click. nader, Proudly powered by WordPress.